Left foot forward (a journey into reenactment): Going Dutch. Part 1. .....Check I've got passport and all gun-related paperwork..... Check. Do other stuff. Divide between clothes and backpack stuff. Check I've got passport and all gun-related paperwork.... Check. Pack gadgets and medicinals. Go to bed. Get up early and get dressed. Check I've got passport and all gun related paperwork. Check. Repeat.... check. Leave house. The plan was to get the train to Dover (changing at Eastborne and Ashford international). 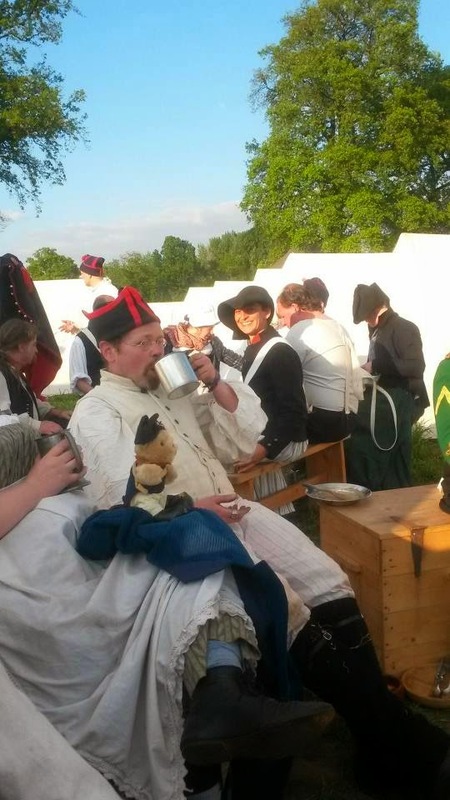 First thing I learnt was carrying a musket bag slung over your shoulder will keep undoing your gaiters. 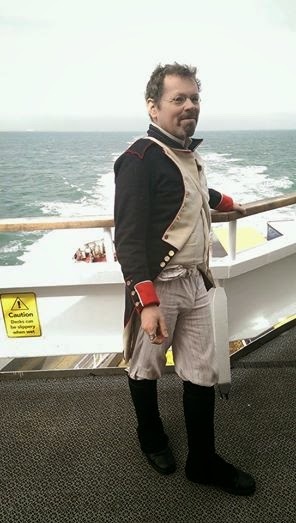 With each leg of the voyage completed in time the better I felt (and was invited into the platform office at Ashford as the manager, who used to be in the marines, wanted to have a look at the musket, again not out of any security concern just being interested)..
Met John Flapejaques and away. A gendame waved us through but we thought we should stop and do the whole security thing with the guns, which went fine, some of those behind us got quite a grilling apparently, despite quite a number of reenactors going through. and yes, I still had my passport and gun-related paperwork, incase you were expecting disaster. We were away across the sea! No one thought I was 'Nelson'.. perhaps it was the lack of a hat. About five hours later we arrived at Hoogstraten! in Holland, I think, it all tends to blend together. 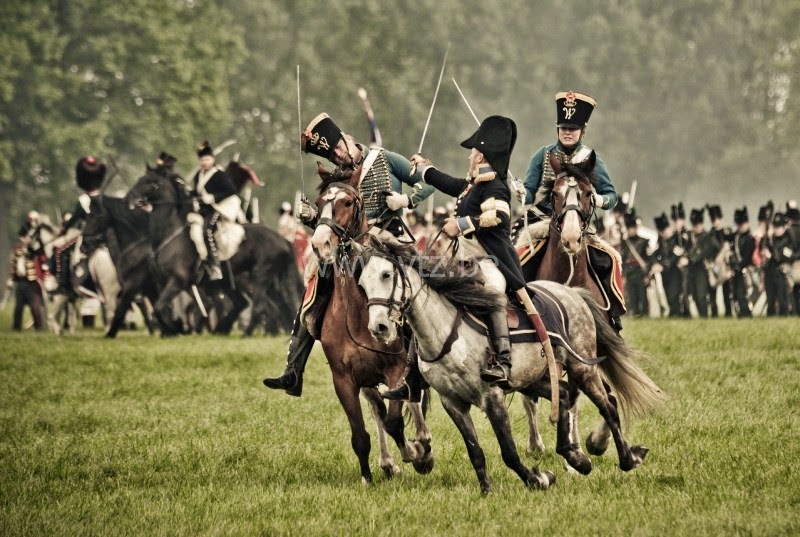 The battle of Hoogstraten is usually thought of as the 11th of January, that was when a largely Prussian force attacked the French and eventually pushed them back but the campaign to hold Antwerp lasted right up to Napoleon's abdication, and thus this weekend (2nd - 4th May). The camp filled a good size field and was all together and only a pistol shot from the battlefield, and really well organised, water, straw, toilets, info tent, string laid out for tent positions by row. That evening there was a torchlit parade, well it was a setting sun lit parade really, or at least almost. All forming up around the Townhall/Church. 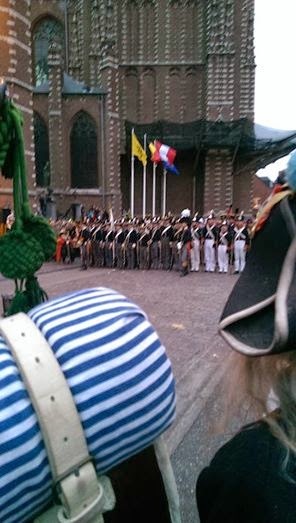 A unit of Netherlanders formed the troop of honour yet received a bit of joshing from the French for there shout of 'Vive Le Roi'. Splitters! Haven't these guys been pretty-much-Frenchmen since 1798? The next morning saw a somewhat longer parade, more through bemused locals backstreets, to a Church that had seen heavy fighting back in the day and is the planned site of a memorial to the fallen. Again, there was a short speech, I say short but when translated into a dozen languages it was not nearly so brief. Sadly my shako lining was coming loose and slipping over my eyes, I tried using my ears to prop it on but this merely bent my ears.. on the way back I put it on my musket to carry but was told this was a no-no as putting your shako/hat on the end of your musket apparently signifies you have been wounded. This did make me think.. I presume they meant historically that was the case, so I should not do it as I am not wounded.. or it was disrespectful to those who were?..yet surely such a notion could apply to most things done by reenactors? And so to the battle, day 1. We marched on to be met by some locals.. dressed as 1814 locals and trying to shoo us away with pitchforks and reproachful language. Then all formed up as the French cavalry charged down the field.. and soon returned as a cannonade started.. making me reflect on the old saying 'there are no athiests in a foxhole'. I was soon distracted however by the rough going underfoot, a field not ploughed too long ago, repleat with tall grass and old stalks. Time to fire! FIRE! Nothing. Something blocking the touch hole. Being proud of my still fairly new musket I had cleaned it after Felixstowe and then again a few days before the battle, however I was seemingly quite ignorant of how much powder gets caked down the barrel, I suppose I imagined the blast violently emptied it quite effectively. Not so. and it seemed the gun oil had made it co-agulate. Worse, my attempt to clean it had left a scrap of cloth down there too! After the battle I learnt how to take the whole thing apart and what a wormer was as well as other handy things to have, like fine sandpaper for removing the inevitable rust.. I felt guilty finding rust on the barrel but it also turns out this is pretty much unavoidable unless you are out in the desert steppes. Anyhoo, I pretended to give a few volleys but then got picked off by a stray shot behind a barricade having passed my cartridges on to my comrades, who still ran out. Later there was a show put on, all shadows and trumpets and parping. Went down well. Having later fallen asleep and toppled liked a felled tree off my seat by the campfire I coincidently decided it was time for bed. It was rather nippy by the early hours. Returning to English understatement. and I eventually got up to rebuild the camp fire, there was only one other fire going, besides which sat a chap from the Prussian Landwehr. I had already got into the habit of trying several greetings on people as you can never tell where someone is from, I had asked a full on Scots highlander earlier if the 79th were here only to discover he was not from Glasgow but Scharnhoff-Altenein-Regensbaad. This chap, Markus, however was a German and I managed to cadge a light and soon had a lovely fire going.